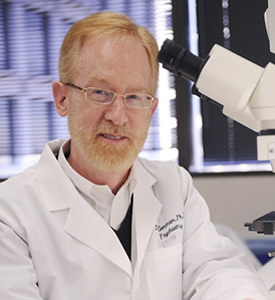 UT Southwestern, one of the premier academic medical centers in the nation, integrates pioneering biomedical research with exceptional clinical care and education. The institution’s faculty includes many distinguished members, including five who have been awarded Nobel Prizes since 1985. Numbering more than 2,700, the faculty is responsible for groundbreaking medical advances and is committed to translating science-driven research quickly to new clinical treatments. UT Southwestern physicians provide medical care in 40 specialties to nearly 91,000 hospitalized patients and oversee more than 2 million outpatient visits a year. Once again, research seems to demonstrates the wisdom of Rachel Carson, who warned us that we could not know the long-term damage done by untested pesticides applied with abandon in great abundance as if it were a solution to everything. Carson’s book indicting pesticides regulation, Silent Spring, was published in 1962, with more than 50 pages of footnotes and citations to scientific studies. In the 52 years since, none of that research has been rebutted by any further research. Instead, more harms have been discovered, greater questions raised about the damage done by pesticides applied indiscriminantly. Can you recall what you were doing on September 5, 1977? That’s the day NASA launched Voyager I, on a trip to photograph planets in our solar system more close up than we can get with Earth-bound telescopes. The Hubble Space Telescope was not even on the drawing board then. 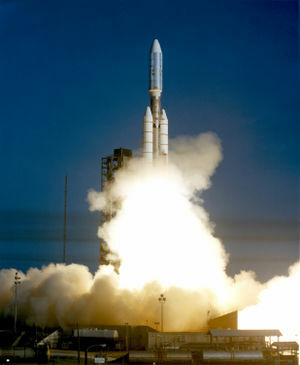 After completing its mission, Voyager I continued on its path. Scientists thought it would survive to leave the solar systems, and a few forward-looking thinkers hoped to learn more about just how far the influence of our Sun really extends. At some point, Voyager I would leave space where the chief gravitational and wind influence is the Sun, and move into truly inter-stellar (“between the stars”) space, where gravity and particle emissions are dominated by other objects in our galaxy. 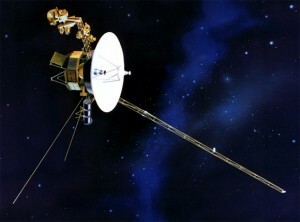 Last week NASA announced that time came in August of 2012, confirmed by data transmitted back to earth by Voyager’s primitive capabilities, over the last year. Interesting to think of the investment in thought, money, effort and patience by scientists and policy-makers to wait more than 35 years for such a research result. Kathryn’s cousin, Amanda Holland, moved from researching condors in California, to buzzards in Georgia and South Carolina (for the University of Georgia, I think). Here she is with one of her research subjects. Much lore is out there about handling carrion-eating birds for research — they vomit on you only if they like you, for example — but wholly apart from that, how great is this photo of a scientist at work? I told her to copyright the photo (it is), and to hand on to the meme. Can’t you see a character in Game of Thrones, or some other fantasy, who carries her own vultures to clean up after she devastates some other army in battle? Eagles and falcons and owls are okay, but what other bird could conceal the results of the battle, so the warrior princess could move on in stealth? Science field work looks like great stuff. My experience is that it’s tiring, and sometimes lonely (though in very beautiful locations) — but the psychic rewards of actually increasing knowledge keep a lot of scientists going. There’s not a lot of money in it. Look at the friends you could make! One of the most southerly populations of polar bears in the world – and the best studied – is struggling to cope with climate-induced changes to sea ice, new research reveals. Based on over 10 years’ data the study, published in the British Ecological Society‘s Journal of Animal Ecology, sheds new light on how sea ice conditions drive polar bears’ annual migration on and off the ice. Caption from EurekAlert: An adult female polar bear wearing a GPS-satellite linked collar with her two 10-month-old cubs waits for the sea ice to re-form onshore in western Hudson Bay, Manitoba, Canada. Photo Copyright Andrew Derocher, Univeristy of Alberta. Polar bears have adapted to the annual loss of sea ice by migrating onto land each summer. While there, they cannot hunt seals and must rely on fat reserves to see them through until the ice returns. Dr. Cherry and colleagues wanted to discover how earlier thawing and later freezing of sea ice affects the bears’ migration. “At first glance, sea ice may look like a barren, uniform environment, but in reality, it’s remarkably complex and polar bears manage to cope, and even thrive, in a habitat that moves beneath their feet and even disappears for part of the year. This is an extraordinary biological feat and biologist still don’t fully understand it,” he says. From 1991-97 and 2004-09, they monitored movements of 109 female polar bears fitted with satellite tracking collars. They tagged only females because males’ necks are wider than their heads, so they cannot wear a collar. During the same period, the team also monitored the position and concentration of sea ice using satellite images. “Defining precisely what aspects of sea ice break-up and freeze-up affect polar bear migration, and when these conditions occur, is a vital part of monitoring how potential climate-induced changes to sea ice freeze-thaw cycles may affect the bears,” he says. The results reveal the timing of polar bears’ migration can be predicted by how fast the sea ice melts and freezes, and by when specific sea ice concentrations occur within a given area of Hudson Bay. 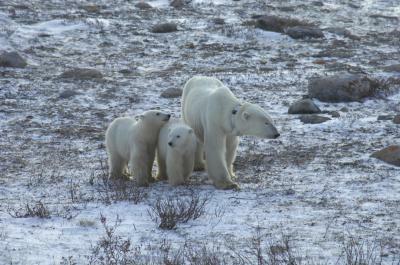 Recent estimates put the western Hudson Bay polar bear population at around 900 individuals. The population has declined since the 1990s, as has the bears’ body condition and the number of cubs surviving to adulthood. Caption from EurekAlert: This is a subadult polar bear on a lake on the shores of Hudson Bay in Manitoba, Canada in November waiting for the sea ice to re-form. 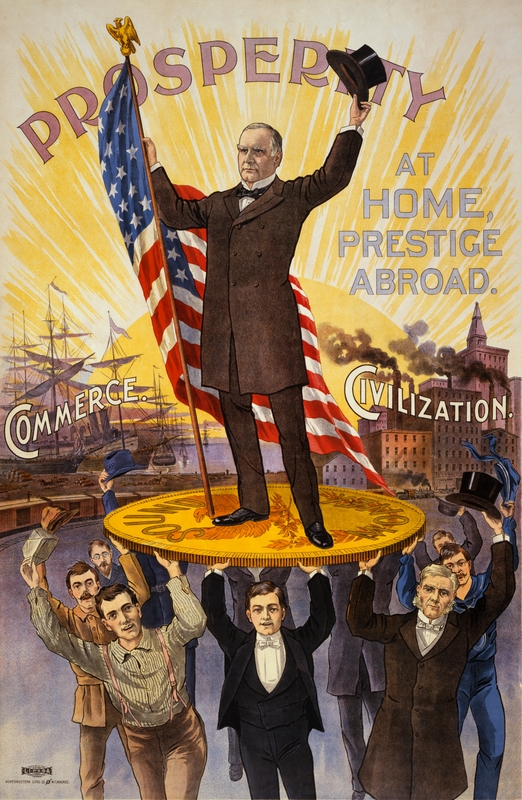 Copyright Andrew Derocher, Univeristy of Alberta. Because polar bears’ main food source is seals, and these are hunted almost exclusively on sea ice, the longer bears spend on land, the longer they must go without energy-rich seals. “Climate-induced changes that cause sea ice to melt earlier, form later, or both, likely affect the overall health of polar bears in the area. 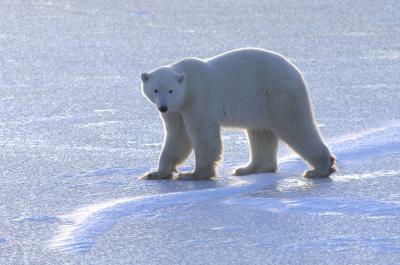 Ultimately, for polar bears, it’s survival of the fattest,” says Dr. Cherry. He hopes the results will enable other scientists and wildlife managers to predict how potential climate-induced changes to sea ice freeze-thaw cycles will affect the ecology, particularly the migration patterns, of this iconic species. Seth Cherry et al (2013). ‘Migration phenology and seasonal fidelity of an Arctic marine predator in relation to sea ice dynamics’, doi: 10.1111/1365-2656.12050, is published in the Journal of Animal Ecology on Wednesday 20 March 2013. 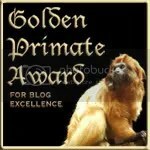 Anthony Watts leads denialist charge; a second disinformation site; a source of the incorrect propaganda, and another site pushing it. This original CERN webcast recording was officially published at https://cdsweb.cern.ch/record/1459604 but I re-uploaded it here because YouTube is best. The CERN Copyright notice seems to say doing something like this may be ok http://copyright.web.cern.ch/ but if they release this video on the official http://youtube.com/cerntv YouTube channel, I may remove this copy from my YouTube account. So, if the video above goes dark, check the official CERN YouTube site. 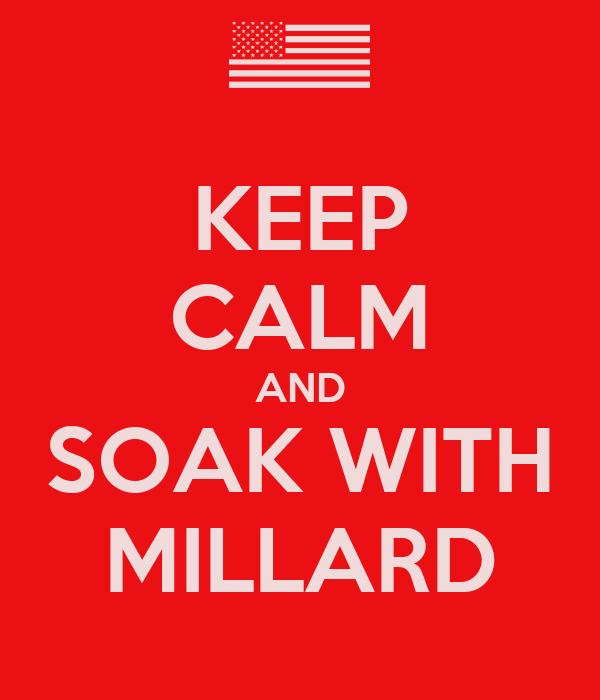 I’ll post more basic and explanatory material, and more news links, here at Millard Fillmore’s Bathtub.